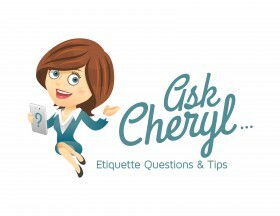 AskCheryl: We Want a Very Small Wedding (due to family issues). How Do We Avoid Hurt Feelings? My fiancé and I want a VERY small destination wedding, and by small I mean his father and stepmother, his best friend and my mother and sister. The problem is that we are worried about the backlash that will come from the people we don’t invite, such as his mother and stepfather, his sister, brother-in-law and kids, my best friend, my father, our aunts, uncles, cousins… the list goes on. We are planning on paying for the entire weeklong event ourselves and surprising our guests with the wedding once they are there. I would like to get in front of the hurt feelings by sending out an “elopement notice” to our friends and family who are not attending that they would receive a day or so before the actual ceremony. Is this something that you think would cut the tension before it becomes drama and hurt feelings for those who are not in attendance? A little background about the “un-guest” list — His parents are long since bitterly divorced and not on speaking terms. Siding with different parents caused a lack of relationship between my fiancé and his sister. However, as a side note, as soon as she heard about the engagement she made a special trip out of her way to my place of business to say congratulations and to let me know that her two nightmare children have been flower girl/ring bearer several times and that they are very good at it. My parents are not so bitterly divorced, but my father and I are estranged. The pressure of inviting him and telling him NO to walking me down the aisle gives me severe anxiety. Our back story and the fact that we are footing the bill leads me to believe that we can make it as small and intimate as we please, but what are your thoughts on inviting only well wishes for our wedding, not guests? There’s no doubt that family situations can often make life very complicated. 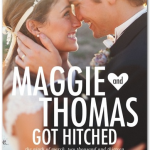 From an etiquette perspective, the bride and groom can have any type of wedding they choose. The parents have a say when they are paying or helping to pay for the wedding. Many people have complicated family situations and chose to do just what you are planning. It seems like you are making a wise choice and you do not need to feel bad about your decision. As for your question, “Would sending a pre-announcement help with the hurt feeling of those who are not invited?” … I don’t think that it will achieve your intended goal. There really isn’t such a thing as an elopement announcement. The definition of an elopement is that you secretly get married without anyone knowing or parental consent, and it’s usually a spur of the moment event. You would either send a wedding invitation or a wedding announcement, and the announcement is typically sent a few days to a few weeks after the wedding. As far as helping with hurt feelings — you just cannot control or predict how people will react to what you choose to do. It seems you have two choices: 1) Have a traditional wedding and invite your family and friends, or 2) have your small destination wedding and offend some of your family and friends. If you mail announcements that arrive a few days before the ceremony, you may be barraged with calls, and some will be more hurt that you did not inform them personally. My recommendation, to help smooth any ruffled feathers, is that upon your return you send out wedding announcements. Also, avoid posting on social media until after they have been received and also make sure your few guests don’t “let the cat out of the bag” on social media either. You might consider having a trusted friend mail them while you are away. If possible, before the announcements arrive, personally call those that you feel will be offended and find a diplomatic way to explain your decision. You could say something like, “We wanted you to be one of the first to know that we got married last weekend. We decided to go away and have a small intimate ceremony.” If they get angry, tell them you are sorry they are hurt, but you felt it was the best decision for you as a couple. If they truly care about you, they will put your happiness above their own. I hope this was helpful and I wish you much happiness and joy on your wedding day. If you have questions or comments about gift giving or wedding etiquette, please comment below or email AskCheryl@RegistryFinder.com. Emails in this column are received from readers. Emails may be edited for spelling, length and grammar, or to remove sensitive information, however, we are careful not to alter the intent or content of the question. 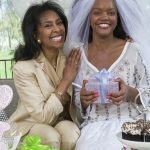 AskCheryl: Mother of the Bride Not Invited to the Bridal Shower? AskCheryl: Should I Send Wedding Registry Info to Friends & Family Not Invited to the Wedding?